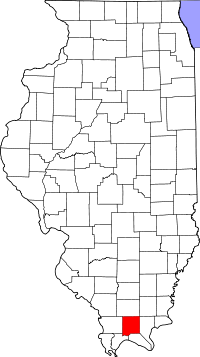 Johnson County, Illinois was established on September 14, 1812, from Randolph County in the Illinois Territory. If you are searching for vital records such as birth, death or marriage certificates for Johnson County, the County Clerk's Office is the best place to start. To find divorce records for Johnson County you can contact the Johnson County Circuit Clerk's Office. Requests for vital records can also be made to the Illinois Department of Public Heath Division of Vital Records. You can also search through the Illinois State Archives.